The UFI Hydraulic Division OFF-LINE FILTERS are named “SYSTEM CARE” because they take care of the efficiency and guarantee the long life of the system by keeping the oil at the desired cleanliness values. UFI makes off-line filtration easy and helps save on the cost of oil, maintenance and component replacement in your operation. 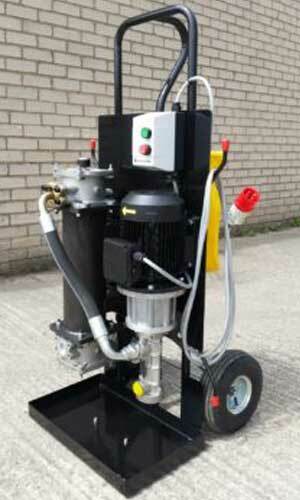 Off-line filtration units include both stationary and mobile versions. During off-line filtration the filter is in a circuit separated from the main operation stream. By separating the streams, off-line filtration can function as long as it takes for the operating fluid to reach the necessary cleanliness, regardless of the system’s running time. Designed and manufactured for oil maintenance and lubrication systems, Antech’s mobile filter unit is versatile and reliable. 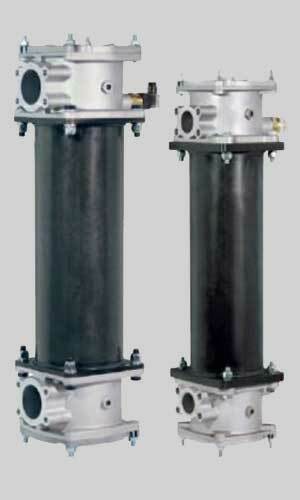 In addition to an existing filter, it is ideal for secondary flow filtration. Its portability and compact structural design allows it to operate in difficult to access areas. Please see the PDF download below for more details and how to order.